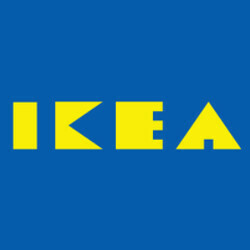 Tech Titan Apple and furniture purveyor Ikea are working together to produce an AR app. According to Michael Valdsgaard, Leader of Digital Transformation at Inter Ikea, "This will be the first augmented reality app that will enable you to make buying decisions." As such, it is a very important time in the development of AR as a tool. The app will allow users to try out virtual furniture at home, and possibly even make the purchase from inside the app. The app is expected to launch this fall, and Valdsgaard says that it will debut with 500 to 600 products inside the app. After that, any new offerings will show up automatically in the AR app. Ikea is looking forward to working with Apple not only because of its tech-know how, but also because of the large number of iOS users that Apple brings to the table. Valdsgaard says that overnight, the Apple-Ikea app will instantly become the largest AR platform in the world. Ikea is placing a lot more emphasis on tech than your average furniture company as it looks to use social media, mobile and third-party online retailers to enhance the operations of the nearly 400 stores it runs. Still, Valdsgaard notes that Ikea is a furniture store first, and expects its retail locations to remain the major source of its sales. Wow this is perfect. Need new furniture soon. Will definitely be great to see how it looks in my existing space as well as demensions and what not.. Now I just need an app to come out for automobile wheels. Man, the automobile wheels app is needed yesterday!!! I'm worried about purchasing a set of new rims for my car where I like them at checkout but once on, displeased. AR please save me. I saw a demo of this at the NYC Auto Show last year but no info on release. I wonder how this will compare to Lowe's AR app? AR is gonna be the next big thing in the smartphone industry. What's more? apple doesn't need a special dedicated hardware to make it work unlike tango for android. Thats the magic right there. Apples state of the art motion co-processors are just impressive and with the addition of 3d sensing tech, and the best in class A11 chip will further enhance the experience. This will be especially crazy for maps and will be huge for museums, education, entertainment, malls, and businesses. Yea, I mean no one has done anything as innovative as this since...I don't know... The original Nintendo 3DS. Only Apple with the magic of their state of the art motion co-processor, or otherwise known as an ARM cortex m3 (but invented by Apple since they renamed it) could possibly invent something like this with their 3d sensing tech in 2019 (cause it's not happening this year). Dude, AR is happening with the iphone 8 this year and it is backwards compatible with the any idevice running an A9 chip and above. I think the reason for this is because only the A9 chip and upwards have a dedicated motion co-processor hardware and to further improve the experience, 3d sensing and dual ff cameras will be included in the iphone 8, which will of course also have a dual rear camera. AR (along with VR) is shaping up to be the next big thing in the smartphone industry. Great. Yeah and i hope android finds a way to enable tango functionality on regular flagships, instead of using a seperate hardware which can be discouraging, and subsequently limit its adoption. Sadly, i dont see it happening anytime soon on android as they seem to be pushing VR which isn't a bad thing (except that also requires a seperate device and can't be used on the go).. So after using the Gear VR on Samsung, it just doesnt have any flare. It feels like I am using a Nintendo VirtualBiy, but in full color. Not saying it isnt cool, its just not offering nothing worthwhile. After seeing a movie im 3D at the shiw, i wouldn't buy that movie, just to watch on a Gear, or even a 3D Tv whichwas a terrible fad. AR using 3D modeling is something we have seen on so many platforms. The firat 3D modeled game I recall was Donkey Knog Country. You can take a 3D model and place it in a 3D, 2D or 1D environment. Hospitals also have such and they can see organs in full 3D with AR, where they xan take a scan and make a 3D model of the organ and look at it in full 3D. Even placing it inside a body on a screen. Now if i could create a 3D AR imave from a photo or video, that woukd ve cool. Hololens would be better!